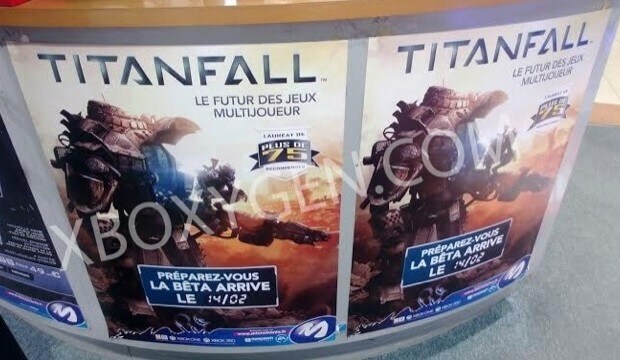 According to a leaked GameStop poster in France, the highly anticipated Titanfall Beta will be dropping on Valentines Day, February 14th to the 19th! 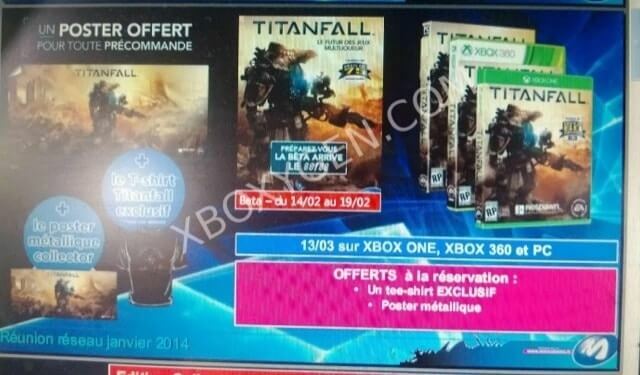 The beta will be available exclusively from Zappos in France and Gamestop in the U.S according to the leaks. 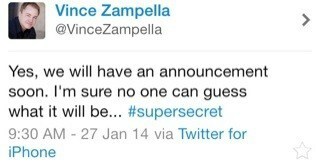 We’re sure additional countries will have their own promotion once it’s officially announced. UPDATE: a second image has appeared on Xboxygen, according to them, the beta will be coming to Xbox One, Xbox 360, and PC.